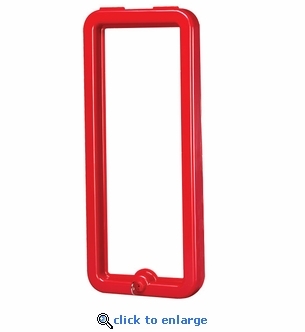 This replacement Frame and Lock with key fits the 5 lb FireTech™ surface mount plastic fire extinguisher cabinet FT20P. Select red or white from the dropdown before adding to cart. Plexiglass panel not included. Order separately. See below.